I first dabbled with the Internet way back in 1995. It sure was different back then. At first, I only had access to email, which was really only useful when communicating to other family members who were also attending a school with Internet access. By the time I entered college, a design revolution had taken place, bringing games, online shopping and so much more to the net. Now, twenty years later, the Internet is changing once again. This time, it’s video that’s leading the revolution. More than 100 hours of new video is added to YouTube every minute. Streaming video sites aren’t just for binge watching past seasons of cancelled TV shows anymore – they’re now sources of Golden Globe-winning original content. And all major social networks allow you to easily upload and share user-made video, including longtime holdout Twitter. So much video is being shared and watched, in fact, that Cisco estimates that video currently makes up 78% of Internet traffic. That number is expected to jump to 84% by 2018. And if the FCC removes the roadblocks standing in the way of cable TV being delivered online, the number could rise even higher still. But online video isn’t just about entertainment – it’s become especially attractive for advertisers. While many of us have learned to mentally filter out common sidebar and banner ads, video-based ads are much harder to ignore – especially if you need to watch them to access a video on YouTube or Hulu. Industry professionals believe video ads are 6 times more effective than other types of online advertising. 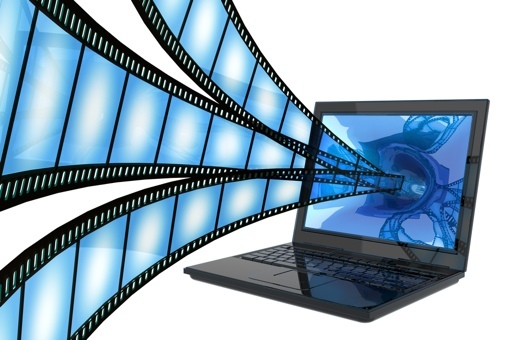 There's a lot of money to be made with online video — a key reason why it's here to stay.